Wood burning fireplaces are becoming more and more outdated and can create unwanted messes or smoke. Gas fireplace inserts are becoming more popular among Calgary homes and for good reason. They are much more convenient, just a flip of a switch and your fireplace is lit. They provide noticeable warmth for your home, unlike an electric fireplace insert a gas insert is a viable source of heat for your home. Gas fireplace inserts also come in many looks and styles giving your home an additional feature that stands out. If you have decided it is time to upgrade your current wood burning fireplace with a gas insert, then you will need a gas line installed to accommodate your new fireplace insert. At Lone Star Plumbing and Heating our professional and licensed gas fitters are experienced in installing gas lines for fireplaces. To ensure your gas line abides by all regulations and is installed safely trust the Calgary gas fitters at Lone Star to handle the job. Some homeowners just can’t stand the thought of giving up their wood burning fireplace. The authenticity of a real wood burning fire can be hard to beat. If you are this type of homeowner the installation of a gas log lighter may be just for you. A log lighter installed into your wood burning fireplace can enhance those wood burning fires and simplify the lighting of the wood in the fireplace. 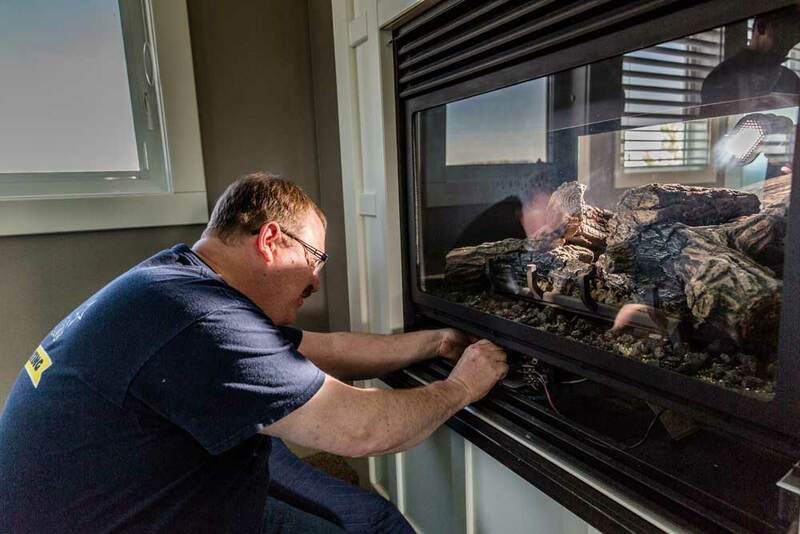 If you are looking to add some convenience to your wood burning fireplace by adding a gas line, then let the experienced Calgary gas fitters at Lone Star install your fireplace log lighter no matter the type of home or where your fireplace is located in your home. No matter the fireplace, no matter the home we can install a gas line that will accommodate the fireplace of your dreams. Let our experienced and professional Calgary gas fitters install the gas line you need for your fireplace.